Not all readers are familiar with all the abbreviations used in the IT world. 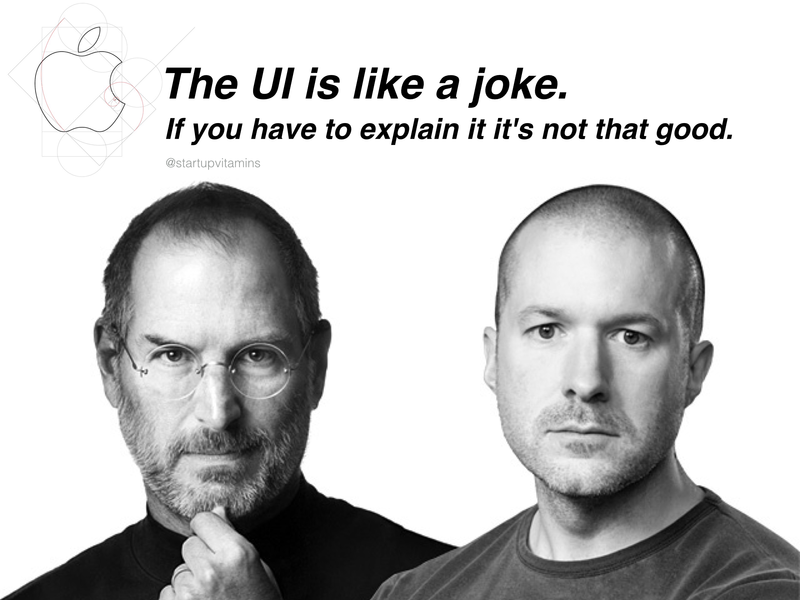 So, UI means the User Interface and describes the layout of an app seen by a user. Developers should follow some standards published by Apple in The iOS Human Interface Guidelines (see ‘Related links …’). UX means the User Experience and describes what users feel when they use an app or a device the first time and extensively later on. The impression must be positive to keep the app on the device for further usage resp. win a loyal customer. Both UI and UX are in some way subjective criteria but essential for generating acceptance and loyalty. Designers play an essential role in the development of successful products. It’s Sir Jonathan Ive (lead designer of MacBook Pro, iMac, MacBook Air, iPod, iPod Touch, iPhone, iPad, iPad Mini and iOS 7/8) who is responsible for design at Apple, Inc.